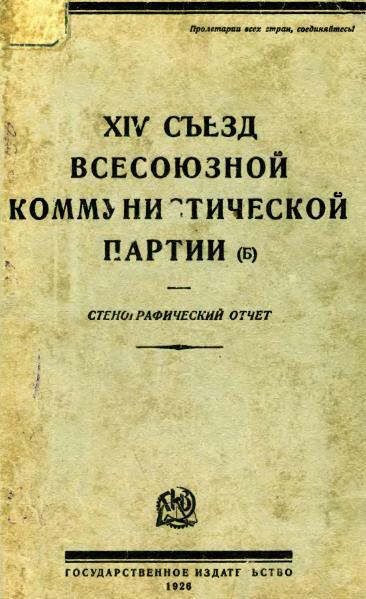 Constitution of the Communist Party of the Soviet Union. Everyone who subscribes to the party program, works in one of its organizations, submits to party decisions and pays membership dues is considered a party member. New members are accepted from among applicants on probation who have passed a course in political grammar and have been applicants on probation for a certain time. (3) all others (office employees, and so forth). To the first group belong the industrial workers who are permanently engaged in physical hired labor. To the second group belong non-industrial workers, soldiers from the workers and peasant classes and hired hands in agriculture. For admission into the party of persons belonging to the first group of the first category it is necessary to have two recommendations of party members of one year's standing. For admission of persons belonging to the second group of the first recommendations of members of two years' standing are required. For admission of persons belonging to the second category three recommendations of members of three years' standing are required. For admission of persons belonging to the third category five recommendations of party members of five years' standing are required. NOTE: For admission to the party from the Komsomol (the communist youth organization) in the first and second categories a recommendation of a committee of that organization equals that of one party member. Persons who previously were members of some other party are accepted in exceptional cases on the recommendation of five party members of five years' standing, and then only through the occupational nucleus, a confirmation by the central committee being necessary, no matter what their social position. NOTE: The central committee may give the right of final ratification of the admission of those who come from other parties to separate territorial party committees and to the central committees of national communist parties. Recommendations must be verified by the local party committee before admission. The question of admission into the party is discussed first by the nucleus, then it is decided by a general meeting of the organization, and finally the admission enters into force upon ratification by a party committee; for the first category that of the county (uyezd) or economic district (raion) committee in cities and industrial centers); for the second and third categories that of the circuit (okrug) or provincial (guberniia) committee. In the present organizations of the cities the question of admission into the party is decided by a general meeting of party members. In the case of a city precinct having more than 1,000 members and applicants on probation the admission is valid if passed on by the plenary meeting of the precinct committee without the sanction of a general meeting. Young people under 20 (with the exception of red soldiers) are admitted to the party only through the Komsomol. Those who propose new members are responsible for the members recommended. In case of an unworthy recommendation they are subject to party discipline, even to exclusion from the party. The party-age standing of applicants on probation who are accepted for membership in the party is calculated from the day of the ratification of their admission by the general meeting of the corresponding nucleus. Every member of one organization going to work in the region of another is to be enrolled as a member of the latter. NOTE: The transfer of party members from one organization to another is accomplished in conformity with the regulations of the central committee of the party. The question of exclusion of any one from the party is decided by the general meeting of the organization to which the particular person belongs and ratified by the provincial (circuit) control commission, or it is decided directly by the provincial (circuit) control commission in the first instance. The resolution of exclusion becomes valid only with the consent of the provincial (circuit) committee. From the moment of exclusion by the general meeting or by the central commission the person involved is removed from party work. Every case of exclusion must be published in the party papers, with a statement of the cause for exclusion. All persons desiring to enter the party must pass through a period during which they are applicants on probation in order that they may become acquainted with the program and tactics of the party and that their personal qualities may be verified. 8. The order for admission of a person as applicant on probation follows exactly the same procedure as for acceptance into the party (division into categories, character of recommendations and their verification, the decision of the organization concerning admission and the ratification by the party committee). The regular term for an applicant on probation is as follows: For the first category not less than six months, for the second category not less than one year and for the third category not less than two years. NOTE: Persons previously belonging to other parties, no matter what their social position, must first be applicants on probation for two years. Applicants on probation may take part in the deliberations at open meetings of the organization to which they belong, but are not entitled to vote. Applicants must pay the usual membership dues to the local party committee.
. The directive principle of the organizational structure of the party is democratic centralization. The party is built upon the foundation of democratic centralization according to territorial authority. The organization serving any given region is considered supreme in relation to all organizations serving but a part of that region. All party organizations, are autonomous in deciding local questions. The supreme directive organ of every organization is the general meeting, conference or congress. The general meeting, conference or congress elects a committee, which is its executive organ and administers all the current work of the local organization. Regions (oblast), republics, provinces (guberniia): Regional (territorial) conferences, congress of the national communist parties, provincial conferences. Regional committees of the national communist parties, provincial committees. Rural district (or precinct) conferences. The order of subordination, rendering of accounts, adopting and disputing of all party decisions, from the supreme body to the lowest, is the following: The all-Union congress, the central committee, the regional (or territorial) conferences, the regional (or territorial) committee, conferences of national communist parties, central committees of national communist parties, provincial conferences, and so forth. For special forms of party work there are special sections. These sections are attached to committees to which they are directly subordinated. The procedure of organizing such sections is determined by special instructions of the central committee. The supreme organ of the party is the congress. Regular congresses are convoked every year. Extraordinary congresses are convoked by the central committee on its own initiative or on the demand of not less than one-third of the total number of members represented at the last party congress. The call for party congresses, as well as their programs, must be announced not later than one and one-half months before the opening of the congress. An extraordinary congress is convoked two months after it is announced. The congress is considered lawful if there are in attendance not less than one-half of all the party members represented at the last regular congress. The rules for representation at party congresses are fixed by the central committee. In case the extraordinary congress is not called by the central committee, as set forth in article 21, the organizations demanding it have the right to form an organizing committee which has the rights of the central committee in convening the congress. (d) elects a central committee, a central control commission, a central revision commission, and so forth. The composition of the central committee is established by the congress. In case of vacancies in the central committee their places are taken by alternates elected by the congress according to rules established by it. In the interval between congresses the central committee directs the entire work of the party, represents the party in its relations with other parties, organizations and institutions, organizes various party institutions and directs their activities, names the editors of the central organs, which are working under its control, confirms the editors of party organs of large local organizations, organizes and conducts those undertakings having public significance, distributes the personnel and the finances of the party and supervises the central treasury. Through the various party sections the central committee directs the work of central, soviet and public organizations. The central committee must have not less than one plenary meeting (open to all its members) every two months. Alternate members of the central committee can take part in these meetings with the right of a consultant voice (the floor). 26. The central committee organizes for political work a Politbiuro, for general administrative organization work an Orgbiuro, and for the current work of organization and execution a secretariat. Once in the interval between party congresses the central committee convokes an all-Union party conference of representatives of local party organizations. The central committee must regularly inform the party organizations of its work. The number of members elected to the central control commission is established by the party congress. The number elected to the central revision committee is fixed by the party congress, but all members must be of at least ten years' party standing. (b) the treasury and the undertakings of the central committee of the all-Union communist party. Party organizations, with the permission of the central committee, may unite into regional unions. The borders of a region (a territory) are fixed by the regional (territorial) conferences and are confirmed by the central committee. Party organizations serving the territory of national republics and autonomous areas of the Union of Soviet Socialist Republics and of the Russian Socialist Federal Soviet Republic are on the same plane as regional (or provincial) party organizations; i.e., they are entirely subordinate to the central committee of the all-Union communist party. The regional (or territorial) committee (or the central committee of a national communist party) is elected at the regional (territorial) conference (or at the congress of the national communist party). NOTE: Presidia or bureaus of territorial committees, as well as committees of equal standing, are to be ratified by the central committee of the all-Union communist party. According to a special decision of the central committee, in places where there are regional economic organs (economic soviets and so forth), or in regions distant from the center, special regional bureaus shall be established and appointed by the central committee of the all-Union communist party, which also determines the number of members. Regional bureaus of the central committee are responsible only to the central committee of the all-Union communist party. The periodical regional (territorial) conference (or congress of the national communist party) is convoked by the regional (territorial) committee (or central committee of a national communist party) once a year; the extraordinary conference is convoked according to the decision of the regional (territorial) committee (or central committee of a national communist party) or on demand of one-third of the whole number of members of organizations included in the region (territory). The rules regarding representatives at the regional (territorial) conference (or congress of a national communist party) are fixed by the regional (territorial) committee (or central committee of a national communist party). The regional (territorial) conference (or congress of a national communist party) hears and ratifies reports of the regional (territorial) committee (or central committee of a national communist party), of the control commission, the revision commission and other regional (territorial) institutions; discusses questions concerning the party, soviet, trade union and economic work in its particular region (territory) or republic, and elects the regional (territorial) committee as well as the regional (territorial) control and revision commissions (or central committee, central control commission, central revision commission of a national communist party). The regional (territorial) committee elects from its membership a bureau of not less than five persons for its current work. The regional (territorial) committee (or central committee of a national communist party) organizes various party institutions within its territory, directs their activity, appoints the editor of the regional (territorial) party organ, which works under its control, directs and manages all the party enterprises having a general importance for the region (territory), distributes within the limits of the particular region (territory) the personnel and appropriations of the party and superintends the regional territorial) party treasury. The regional (territorial) committee (or central committee of a national communist party) directs through party fractions the activity of the organs of the soviets, trade unions, cooperatives and other organizations; it also directs the work of the Komsomol (the communist youth organization) and presents detailed reports of its activities at the time and in the form fixed by the central committee of the all-Union communist party. A plenary meeting of the regional (territorial) committee (or the central committee of a national communist party) is convoked not less than once in two months. The regular provincial party conference is convoked by the provincial committee at least once a year. Extraordinary conferences are convoked by decision of the provincial committee or by one-third of the entire number of members of organizations within the province. Provincial conferences hear and ratify the reports of the provincial committees, of the provincial control commission, the revision commission and other provincial institutions. They discuss questions concerning the party, soviet, economic and trade union work in that particular province, elect the provincial committee, the provincial control and revision commissions and delegates to the all-Union congress. The provincial committee is elected by the conference; in the committee must be included workers of the chief city, as well as of other large industrial centers of that particular province. The provincial committee is convoked at least once a month. This same committee appoints out of its number not less than five persons to make up a bureau to do its current work. Of these not less than three must be detailed for party work only. The secretary of a provincial committee must have had at least seven years' party standing and must have been confirmed by a higher party center (only with the authorization of this latter body may the party standing be lowered). The provincial committee confirms all the county and precinct organizations of its own area, with the sanction of the regional (territorial) committees or the central committee, organizes various party institutions within its own area, directs their activities, appoints the editor of the provincial organ working under its control, organizes all its enterprises of provincial scope, distributes within the province the personnel and the financial resources of the party and has charge of the provincial treasury. The provincial committee directs through its fractions the activity of soviets, trade unions, cooperative unions and other organizations, and directly supervises the work of the Komsomol (communist youth organization). The provincial committee presents reports to the central committee of all its activity at such times and in such form as is decreed by the central committee. Regional committees of autonomous republics and of autonomous areas are on an equality with provincial committees. In periods between conferences, provincial committees periodically furnish informational reports to the general meeting or conference of city or county organizations. Moreover, they have to convoke enlarged plenary meetings or provincial conferences of the representatives of the county committees and precinct committees (which are directly subordinate to the provincial committees). In chief provincial cities precinct organizations with the rights of county organizations are established if necessary; they are directly subordinate to the provincial committee. The circuit party conference is called by the circuit party committee at least once a year. An extraordinary conference is called upon the decision of the circuit committee or according to the decision of one-third of the total number of organizations included in the circuit. The circuit conference hears and ratifies reports of the district committee, of the control and revision commissions and other district institutions, elects the circuit committee, the control and revisions commissions and delegates to the all-Union party congress. Among the members of the circuit committee elected by the conference must be included workers of the chief circuit city, as well as of other large industrial centers of the circuit. The circuit committee must be called at least once a month. The circuit committee appoints from its members a bureau of not less than five members to carry on the current work. Of these not less than three persons must be appointed exclusively for party work. The secretary of the circuit committee must have five years party standing, and his appointment must be ratified by a higher party body (only with the assent of the latter can a person of less party standing be appointed). The circuit committee confirms precinct organizations and party nuclei. (Precinct organizations must afterward be ratified by the regional-territorial-committees or by the central committees of the national communist parties.) It organizes various party institutions within the limits of the circuit and directs their activities and appoints the editor of the circuit party organ working under its direction and control. It organizes all the enterprises of circuit scope, distributes within its borders the personnel and appropriations of the party and superintends the circuit treasury. The circuit committee directs, through the appropriate fractions, the activity of soviets, trade unions, cooperatives and other bodies and directly guides the work of the Komsomol (communist youth organization). The circuit committee submits reports to the regional (territorial) committee (or to the central committee of a national communist party) of all its activities at such time and in such form as is decreed by the central committee. In periods between conferences the circuit committee periodically submits reports to the general meetings or conferences of city or precinct organizations. Moreover, the circuit committee is to convoke enlarged plenary meetings or conferences of representatives of precinct committees and large nuclei (which are directly subordinate to the circuit committee). In large district cities there may be created, with the authorization of the higher party committee, precinct organizations the same way as precinct committees of the chief provincial cities. The county conference hears and ratifies the reports made by the county committee, revision commission and the representative of the provincial control commission and discusses questions of party, soviet, economic and trade union activity of the county. It elects a committee, a revision commission and delegates to the provincial conference. The conference is convoked once in six months. The county committee is elected by the county conferences. The county committee appoints from its membership a bureau consisting of not more than five to seven persons. Out of that number at least three workers must be freed from any activity except party work. The secretary of the county committee must have three years' party standing, and his nomination must be ratified by a higher party organ (the party standing of the secretary may be lowered only with the authorization of the latter). The county committee ratifies township and precinct organizations and the nuclei in the county subject to approval of the provincial committee. It organizes various party institutions within its territory, directs their activities, organizes all enterprises having county importance, convokes conferences of representatives of the township nuclei and superintends the county treasury of the party. NOTE: The county party committee is entitled to publish party literature and a party paper only with the authorization of the provincial committee. The county committee directs, through party fractions, the work of the county executive committee, as well as that of trade union organizations, cooperatives and other bodies of its own county. It directs also the whole work of the Komsomol (the communist youth organization). The supreme organ in the rural district is the general meeting of the members of the party in that township. NOTE: In large rural districts (economic districts) where the convocation of a general meeting of all the members presents difficulties it is permissible to substitute the rural district (economic district) conference for a general meeting. These conferences are convoked at least once in three months. (e) discusses and ratifies the reports of the fraction of the executive committee. The rural district (economic district) committee is elected by the rural district (economic district) party meeting or conference for a period of six months. Secretaries of the rural district committees must have at least a year's party standing. NOTE: In rural districts where there are less than three rural nuclei the rural district committee is not organized. In that case the county committee has the right to require the nuclei of the rural district centers of those rural districts to execute some of the duties of the rural district organizations. 55. The rural district (economic district) committee is convoked at least once every two weeks. The rural district (economic district) committee directs the work of all the organizations in the rural district (economic district). It registers all the party members, organizes the distribution of literature, arranges for meetings, lectures, and so forth. It organizes new nuclei and presents them to the county (or circuit) committee for ratification, superintends the party treasury and once each month sends a report of its activities to the county (or circuit) committee. It also directs, through the party fraction, the work of the executive committee. The base of the party organization is the party nucleus. A nucleus is confirmed by a circuit, county or economic district committee and must include not less than three party members. In large enterprises, having a large number of workers, section nuclei may be organized always within the general factory nucleus which includes the entire enterprise. They may be organized in every case only with the authorization of the circuit, county, or economic district committee. (4) to participate actively as a party organ in the economic and political life of the county. For carrying on its current work the nucleus elects a bureau for six months. The secretary of a nucleus must have at least one year's party standing. Exceptions to this rule are permissible only with the assent of the district (or county) or precinct committee (in cities). For the purpose of assisting the party in consolidating the unity and authority of the all-Union communist party, for recruiting the best part of the labor class for the party and to struggle against violations of the communist program and constitution by members, as well as for the purpose of carrying through the party program in every respect in the activities of soviet organs and for the purpose of working out measures for improving and simplifying the soviet and economic apparatus control commissions are elected at the general party congress, as well as at conferences of regions, territories, provinces and circuit, which submit reports about their activities to the organs by which they were elected. NOTE: Circuit control commissions are organized with the authorization of the central committee and the central control commission of the all-Union communist party. The decisions of the control commissions cannot be annulled by corresponding party committees; but in order to be valid they must be accepted by the latter, by which they are also put into effect. In case of dissent the question is submitted to a joint meeting. In case an agreement with the committee cannot be reached the question is submitted for decision to a corresponding party conference or to the higher control commission or to the party congress. 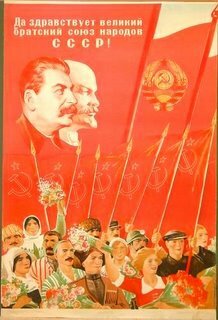 The central control commission is to be elected preferably from peasants and workers who have had the necessary party, soviet, economic or industrial experience. Members of the central control commission named for work in the central organ of the central control commission or in the workmen's and peasants' inspection must have at least ten years' party standing. Members of the central control commission working in local organs must have at least seven years' party standing; factory workers, as well as peasants, must have at least five-years party standing. Members of the central control commission cannot be at the same time members of the central committee and can not occupy an administrative or economic position. NOTE: Exceptions are permitted in each case on the special authorization of the central committee of the all-Union communist party and of the presidium of the central control commission. A plenary meeting of the central control commission is convoked once in three months. For the administration of all current work during the period between these meetings the central control commission selects a presidium, consisting of twenty-one members, nine alternates and its executive organ, a secretariat. It also selects a party collegium of the central control commission, which is responsible for reviewing matters concerned with the violation of party ethics, the constitution and the program of the all-Union communist party. Members of the central control commission participate in all-Union party congresses, in conferences of national communist parties, in territorial, provincial, circuit, county and other conferences, sittings and other assemblies, with the right of a consultant voice. At the plenary meetings of the central committee of the all-Union communist party only members and alternates of the presidium of the central control commission can participate. In case a joint plenary meeting of the central control commission can participate. In case a joint plenary meeting of the central control commission is called, the members of the central control commission take part with the right of a full vote. The presidium of the central control commission delegates three members and three alternates to take part in the political bureau of the central committee and five members and five alternates to take part in the meetings of the organization bureau and of the secretariat of the central committee, with the right of a consultant voice. The central control commission has the right to assign asks within the limits of its jurisdiction to all the members of the party and party organizations. The number of members and alternates for the central control commission of national communist parties, of regional (territorial), provincial and circuit control commissions is fixed by the central control commission of the all-Union communist party, according to the strength of the organization, as well as the economics of the region and other peculiarities. Members and alternates of control commissions are to be elected preferably from workers and peasants who have been most loyal in their party relationships. In the case of central control commissions of a national communist party or of the regional (territorial) control commissions, the members must have at least seven years' party standing; in other control commissions, five years' party standing; all must have had an adequate knowledge of party, soviet and trade union work, so that they understand how to conduct effectively party and soviet control. NOTE: Exceptions are allowed with the permission of the presidium of the central control commission, as well as of the central committee of the all-Union communist party. 69. Members of the control commission cannot be at one and the same time members of party committees and they cannot occupy any responsible administrative position. NOTE: Exceptions are allowed with the permission of the central control commission of the all-Union communist party. The plenum of the control commission elects a presidium and party collegium and proposes the members of the collegium of the workmen's and peasants' inspection. Members of the control commission and alternates participate in meetings of the corresponding plenum of the party committee, in party conferences and sittings, within the limits of their organization, with the right of a consultant voice. The presidium of the control commission sends a part of its members to take part in the meetings of corresponding bureaus of the party committees with the right of a consultant voice. In cases of disagreement between the decisions of the control commission and the party committee, the two bodies meet in joint session. If agreement is not reached, in the case of the central control commission of a national communist party or in the case of the regional (territorial) or provincial control commission when the latter is not subordinate to a central control commission of a national communist party or to a regional (territorial) control committee, the question goes to the central control commission of the all-Union communist party; for provincial and regional control commissions, subordinated to the central control commission of a national communist party or to a territorial control commission, the matter goes to the corresponding central control commission of a national communist party or to the regional (territorial) control commission. The control commission is entitled to assign tasks within the limits of its jurisdiction to all the members of the party and to all party organizations. In order to realize a direct and living relationship between the organs of the control commissions and the lower party organizations, as well as the large working and peasant masses, a body of representatives of the control commission in the circuit and county party organizations is created. The representatives of the control commission are to be named by the circuit or county party conferences preferably from the workers and peasants who are the most consistent party workers, have at least five years' party standing and are ratified by the corresponding control commission. NOTE: It is desirable that the representatives should be named from members of the control commission. In those regions which are considered as the largest and most important from the political and economic point of view the representatives of the control commission are freed from all other work except that of the party. In all can hold other regions they can hold other offices simultaneously. 77. The representatives of the control commission have the right to take part in the meetings of the corresponding party committees, conferences, meetings and deliberations of control commissions, with the right of a consultant voice. The general administration of the party work in the red army and the red navy is done in the political department of the workers' and peasants' red army as the military department of the central committee. The political department of the red army carries on its work through specially appointed political sections (of fronts, army districts, navies, armies, divisions), army commissars and party commissions elected at the corresponding army conferences. The nuclei and party collectives (meetings of party members who work together) in the red army and navy work on the basis of special instructions confirmed by the central committee. The chiefs of political departments of the military districts, navies and armies must have had seven years' party standing and the chiefs of political departments of divisions and brigades, four years' party standing. Party commissions decide on questions of admission and exclusion of party members and applicants on probation and watch for violations of the program and articles of the party. Members of the commission must have had five years' party standing. 81. The appointment and transfer of party members and applicants on probation of the red army and navy belong to corresponding political organs. The regular course for reaching agreement with party organs as to the transfer of leading party workers within the army (commanding and political personnel) is fixed by the instructions of the central committee. Political organs are obliged to be in constant communication with the local party committee by means of constant participation in the local party committees by all the leaders of the political organs and the army commissars, as well as by having systematic reports made to the party committees by the heads of the political organs and army commissars about the political work in the various units. The direction of the work of party commissions as to the admission of applicants on probation, advancement to party membership, the struggle against the violation of the party rules is carried on by local party committees and control commissions, by systematic hearing of reports about the organization of the work in the division and district party commissions and by giving them proper direction. The strongest party discipline is the first obligation of all party members and all party organizations. Decisions of the party centers must be fulfilled immediately and accurately. There is to be complete freedom for the discussion of all controversial questions within the party until a decision has been reached. The non-fulfillment of decisions of higher organizations and other offences, recognized as criminal by the public opinion of the party, entail the following judgments: In the case of an organization-censure; the appointment of a temporary supervisory committee, and a general re-registration of the membership (dissolution of the organization). In the case of single members of the party, the judgments are: Some method of censure (reproof, reprimand, and so forth), public censure, temporary exclusion from responsible party and soviet work, exclusion from the party, exclusion from the party with communication of his offense to the administrative and judicial authorities. Transfer to standing of applicant on probation as a party penalty is not allowed. Delinquencies against discipline are discussed at the general meetings and by the control commissions and according to the usual procedure and in the established order of jurisdiction. The financial resources of the organization consist of membership dues, subsidies of the higher party organizations and other receipts. Membership dues for party members and applicants on probation are fixed at not less than one-half of 1 per cent. of their wages. There are four categories of membership dues, depending upon the size of the salary. The first category pays one-half of 1 per cent., and second 1 per cent., the third 2 per cent. and the fourth 3 per cent. Membership dues for those who receive an indefinite income, as, for instance, peasants, are fixed by local provincial committees. The unemployed are completely freed from membership dues. The same refers to those who receive pensions (invalids and the aged). There is a special entrance fee of 3 per cent. of the (monthly) wages for those who become applicants on probation from, which no one can be excused. Party members and applicants on probation who have failed to pay their dues for three months without good cause are considered to have left the party. A report should be made of this to the general meeting. The rules for collecting membership dues and party deductions are fixed by special instructions. In all congresses, conferences and elective organs (soviet, trade union, cooperative, and so forth), in which there are at least three members of the party, there shall be organized fractions, the purpose of which is generally to strengthen the influence of the party, to carry on its policy among the non-party people and to bring under party control the work of all the above-mentioned institutions and organizations. For the current work of the fraction a bureau can be elected. Whenever the party committee discusses questions related to a fraction, constituted within an organization, the latter is entitled to send its representatives to the meeting, with the right of a consultant voice. Fractions, no matter what their significance, are completely subordinate to the corresponding party organizations. On all questions on which there exist lawful decisions of corresponding party organizations, fractions are strictly obliged to comply with these decisions. The committee has the right to remove or to send into the fraction any member it desires, but it must let the fraction know its, motives for doing so, and the recall and introduction of the new member must be in keeping with the constitution and the regulations of the non-party organ in connection with which the fraction works. The fraction has autonomy on questions of its own internal affairs and current work. In case there is an essential disagreement between the party committee and the fraction concerning some question which is within the jurisdiction of the latter, the committee is obliged to discuss the question of a second time with the representatives of the fraction and to adopt a final decision which must be carried out at once by the fraction. For all more important positions within the organizations in which the fraction is working, candidates shall be proposed by the fraction, together with the corresponding party organization. The same applies to the transfer of individuals from one position to another. All questions having a political importance and which must be discussed by the fraction must be discussed in the presence of representatives of the committee. Questions which have to be decided in the non-party organization in which the fraction is working and which involve matters of principle, as well as all questions which necessitate a concerted action of the communists, must be considered first in a general meeting or in the bureau of the fraction. On every question which was decided in the fraction of any non-party organization, all the members of the fraction are obliged to vote solidly together in the general meeting of the organization in question. Those who violate this rule are subject to disciplinary measures, applied in the regular order in accordance with the constitution. Fractions constituted in non-party organizations must not be in direct communication with fractions of any lower organs. In case any fraction finds it necessary to carry out its decision through the party channels, this must be done through the intermediation of the corresponding party committee (with the written authorization of the secretary of the committee and one member of the bureau of the fraction).